The authors discuss measurement methods and instrumentation useful for the characterization of the gray tracking performance of medical color monitors for diagnostic applications. The authors define gray tracking as the variability in the chromaticity of the gray levels in a color monitor. The authors present data regarding the capability of color measurement instruments with respect to their abilities to measure a target white point corresponding to the CIE Standard Illuminant D65 at different luminance values within the grayscale palette of a medical display. 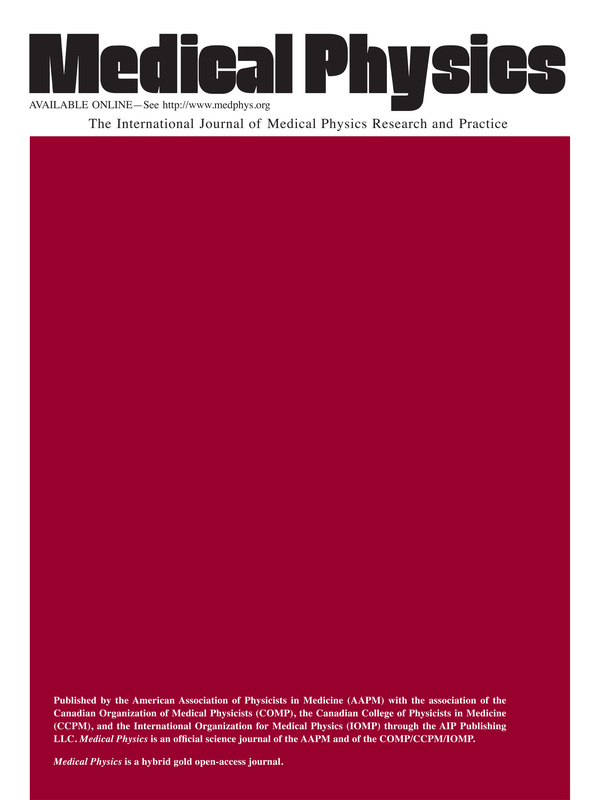 The authors then discuss evidence of significant differences in performance among color measurement instruments currently available for medical physicists to perform calibrations and image quality checks for the consistent representation of color in medical displays. In addition, the authors introduce two metrics for quantifying grayscale chromaticity consistency of gray tracking. The authors’ findings show that there is an order of magnitude difference in the accuracy of field and reference instruments. The gray tracking metrics quantify how close the grayscale chromaticity is to the chromaticity of the full white point (equal amounts of red, green, and blue at maximum level) or to consecutive levels (equal values for red, green, and blue), with a lower value representing an improved grayscale tracking performance. An illustrative example of how to calculate and report the gray tracking performance according to the Task Group definitions is provided. The authors’ proposed methodology for characterizing the grayscale degradation in chromaticity for color monitors that can be used to establish standards and procedures aiding in the quality control testing of color displays and color measurement instrumentation.